The train is leaving the station when it comes to disruptive technologies like cloud, SaaS and mobile. Okay, that is probably an understatement. At a compound annual growth rate of 17%1, companies are adopting these technologies at an amazing pace. So not only has the train left the station, but you need to decide whether you are on the track or on the tracks. Today, Riverbed is hosting Riverbed Disrupt, an event that focuses on managing and optimizing performance in the cloud-first era. The event centers around the disruptive technologies, cloud, SaaS, and mobile, that are now a fully integral part of IT operations. As a part of the event, Riverbed is announcing that SteelCentral, the Command Center for Application Performance, is extending its comprehensive performance monitoring and management solution to address these performance challenges. 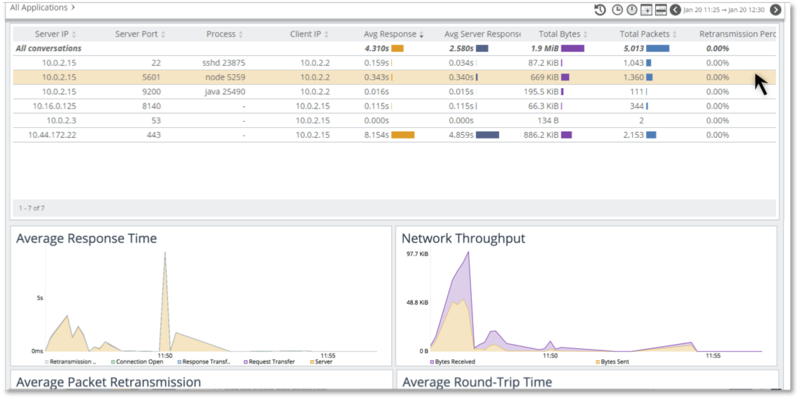 The release features monitoring as an integral component of SteelConnect, Riverbed’s leading SD-WAN solution, extends end-user experience monitoring capabilities to understand performance at the device level with SteelCentral Aternity, and makes available an ‘as-a-service’ offering that monitors application and network performance for cloud driven applications with SteelCentral SaaS. As a result customers are able to reduce the number of blind spots that these disruptive technologies can create and improve the ability for companies to monitor and manage applications in the cloud and in software-defined network environments. Software-defined WAN (SD-WAN) is rapidly gaining momentum as companies seek to provide fast, agile and secure delivery of applications across hybrid cloud environments; however, understanding traffic, both before and after optimization, creates blind spots for IT. Unlike other SD-WAN companies that leverage third-party relationships to address this visibility issue, Riverbed is announcing the availability to SteelCentral NetProfiler for SteelConnect. This offering leverages REST APIs and SteelCentral SteelFlow data to provide visibility into usage and availability for sites, servers, applications, and users. With these capabilities, Network Managers will be better able to make informed policy and deployment decisions, monitor and troubleshoot performance issues, and plan for network changes regardless of whether the application’s performance is optimized across hybrid WANs, remote LANs or cloud networks. In addition, Riverbed completed its acqu isition of Aternity, a leading provider of end-user experience (EUE) solutions. Aternity extends SteelCentral with EUE monitoring of all applications running on physical, virtual, or mobile devices. With the addition of Aternity, SteelCentral can gather data from the broadest range of sources, including app servers, application code, UC systems, LANs, WANs, browsers, and end-user devices, enabling customers to quickly find and fix performance problems, no matter where they occur. The addition of Aternity provides Riverbed customers and partners with the industry’s most comprehensive end-to-end visibility solution, addressing new use cases for device troubleshooting, service desk, mobile APM, change management, and service level management. For complete visibility in or outside the cloud, Riverbed introduces SteelCentral SaaS that integrates end-user experience, application, network, and infrastructure monitoring with cloud-based network performance data. As companies continue to lean more heavily on the cloud to help them compress cycles and reduce costs, their ability to maintain consistent visibility as workloads shift is challenging. Often, IT teams rely on separate tools or manual comparison of application data to determine if network latency is affecting performance. As a SaaS solution, SteelCentral provides visibility-as-a-service, giving companies fast cloud-based access to application, network, infrastructure, and EUE monitoring on and off the cloud. SteelCentral SaaS is currently available in beta to select participants. For more information or to express interest in participation, please visit https://www.riverbed.com/steelcentral/steelcentral-saas-early-access-signup.html.